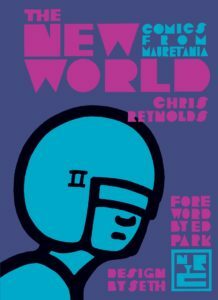 The New World: Comics from Mauretania collects what artist Chris Reynolds describes as “Strange Adventure Stories About Dreams”. During TCAF 2018, we get into Chris’ amazing body of comics work, the roles of intuition and reason in his storytelling, his panic when another artist (Seth) uncannily identified themes and threads throughout his work, and his sense of letting go of his stories now that they’ve been collected by New York Review Comics. We also talk about nostalgia for a time before he was born, the notion of writing after the big event instead of the event itself, the allure of Cordwainer Smith’s stories, and the phenomenon of having a distinctly cult following for his work. Give it a listen! And go buy The New World: Comics from Mauretania ! If you want more about Chris and Mauretania, listen to this TCAF 2018 panel with him and Seth! Chris Reynolds was born in Wales in 1960 and studied fine art at the North Staffordshire Polytechnic. He has worked as a filmmaker, publicist, and art teacher but now devotes his time to drawing comics. He lives in Poole in the United Kingdom. His new collection is The New World: Comics from Mauretania (NYRC). You can follow him on Twitter as MauretaniaComic. Credits: This episode’s music is Nothing’s Gonna Bring Me Down by David Baerwald, used with permission from the artist. 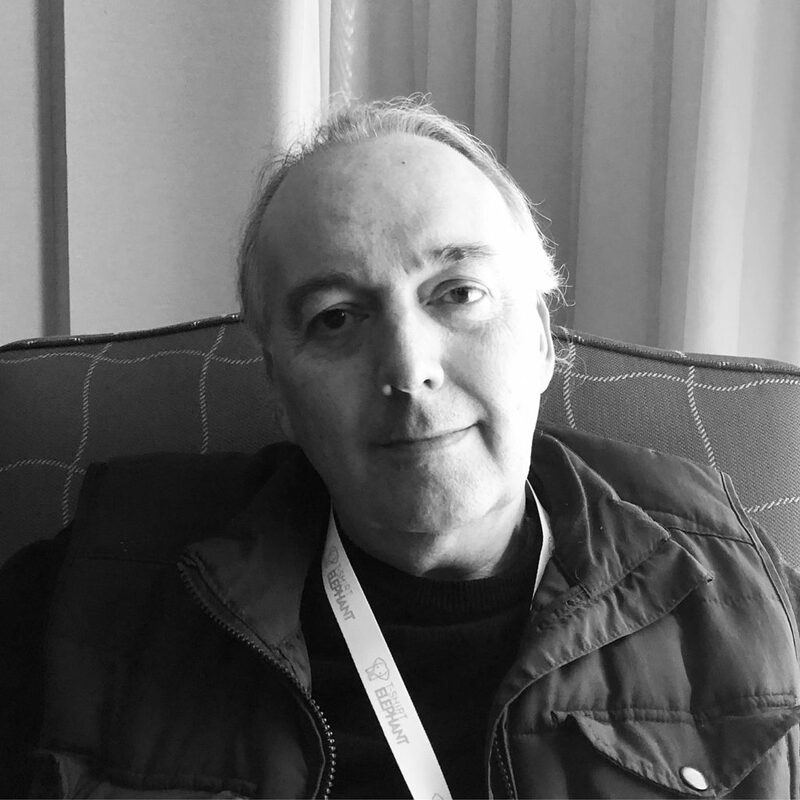 The conversation was recorded at the Toronto Marriott Bloor Yorkville Hotel during the Toronto Comic Arts Festival on a pair of Blue enCORE 200 Microphones feeding into a Zoom H5 digital recorder. I recorded the intro and outro on a Heil PR-40 Dynamic Studio Recording Microphone feeding into a Cloudlifter CL-1 and a Mackie Onyx Blackjack 2×2 USB Recording Interface . All processing and editing done in Adobe Audition CC . Photo of Mr. Reynolds by me. It’s on my instagram.